Its been really long that I have Blogged. 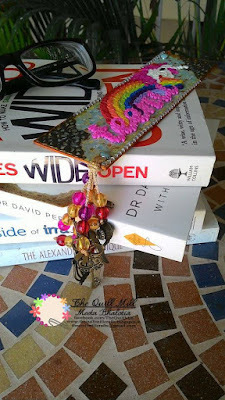 Here I am with a quilled Bookmark I made for a friend of mine who is a bookworm. 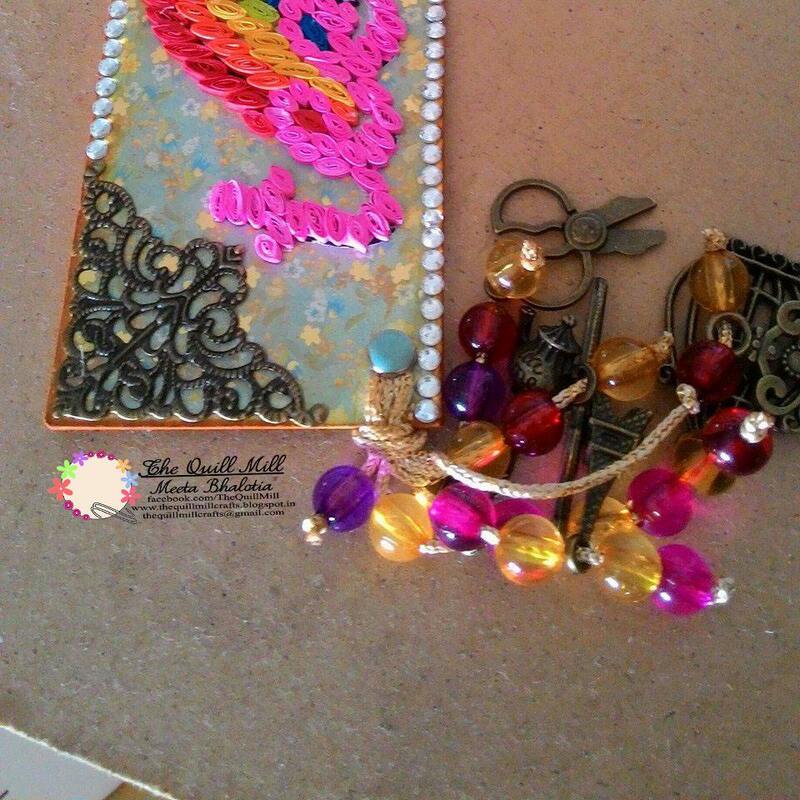 She is a book lover, dreamer, a big foodie, Paper-crafter herself. Loves everything stylish so she wanted no simple bookmark. I must say she was very clear in her thoughts. 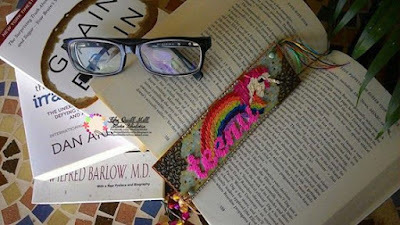 Her list was her name should be there , unicorn n rainbow and loads of beads n charms. So here I was wondering how to put all things together 6" * 2" piece of paper. 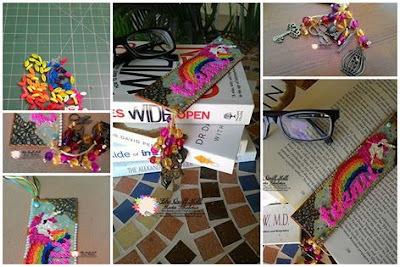 Since I knew that this will be constantly in between pages and in a regular use so I could not give delicate Quilling. Then I started making tiny quilling shapes by 1mm width strip which I generally use for wrist watches. Here's the final look of the the bookmark. I hope you all will like this as much asI did making this one.